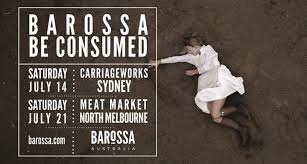 Join Chateau Tanunda at the 2019 Barossa Be Consumed in Melbourne for one day only. Meet the characters behind 55 Barossa wineries & food producers as you immerse yourself into their regional wine, food, culture & history. Taste the latest releases from the Terroirs of the Barossa and The Chateau ranges meet the Chateau Tanunda Team. It’s a celebration of everything the Barossa does best.